How to Choose the Right Survival Knife for YOU! I carry a knife with me almost everywhere I go, and I have a variety of knives that I like. In the military and as an agent I always had a knife with me, sometimes more than one. The Air Force actually issued me the knife shown below. When seeking to buy a survival knife, here are the factors you need to consider to make the best choice. Overall size, because size does matter. The Tang. – Material of the blade. Let’s explore each of these a bit further. 1. The Size Of A Survival Knife Is A Very Important Consideration. You have to decide if you will be carrying your knife on your person when you need it most. Many survival knives are 5 to 12 inches in length. If you choose any length shorter than that it might not be big enough to do the job. However, if you are not going to be fighting lion’s in the jungle like Tarzan or walking around like Crocodile Dundee, you probably don’t want to go past 9 inches. Anything longer that will become too cumbersome to carry and use. You want an effective tool that can be deployed in a survival situation, not a weird limp from carrying a knife that is way to long for comfortable carry. Will you use your knife while on camping trips to your fully accommodated cabin or are you expecting to make shelter when “The End OF the World as We Know It” arrives? If this is the case, you can have a smaller blade if your only purpose is to whittle garden gnomes during your downtime while at the cabin but should be on the bigger side if you plan on having a useful tool in any situation you may find yourself in. The tang is not that gritty orange powdered drink from the 70’s (LOL I am dating myself, but I loved that stuff.) The tang is the protrusion of the steel of the blade into the handle of a knife. Cheaper knives will have a separate blade and handle instead of a tang. 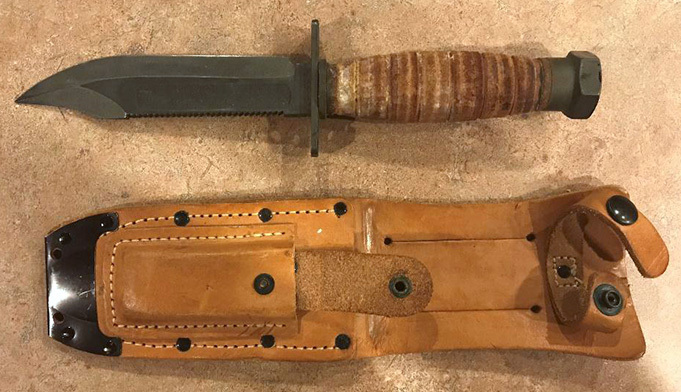 The best survival knife will have what’s called a full tang, where the blade extends in to the handle of the knife as close to the end of the knife as possible. 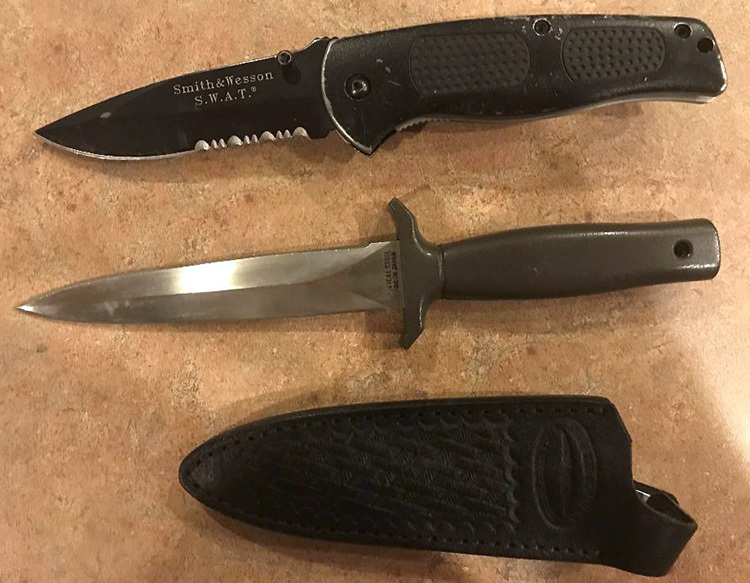 This is the main reason why you shouldn’t buy a survival knife with a hollow handle to store matches or one that has a compass on the end of the handle. If the handle is hollow, then the tang isn’t long enough to provide strength to the blade, or worse there is no tang. My advice is to leave the compass, waterproof matches, fishing line and hooks in a separate bag and go with a solid handle and as close to a full tang as possible. 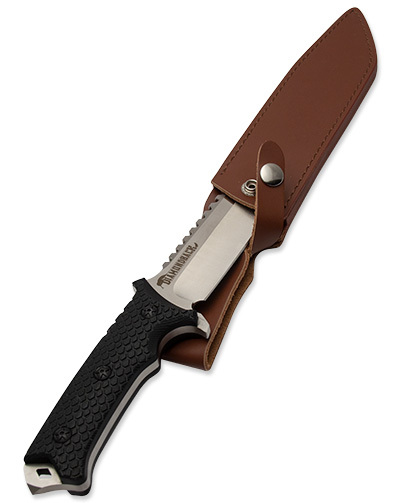 There are 2 main types of material used in the blade of a quality Survival Knife, stainless steel and carbon steel. Stainless steel is great because it won’t rust when exposed to the elements, is durable enough to take a beating and will generally last you a long time. The downside to stainless steel is that the edge will lose its sharpness faster than carbon steel and you will have to properly sharpen it more often. Carbon steel tends to hold a sharp edge longer but can require more maintenance in the way of cleaning your blade and coating it to prevent rust. Whichever material you choose, you haven’t made a bad choice. The handle can be made of many different types of materials ranging from hard rubber to many other polymers. It should be knurled or grooved to fit your hand. A smooth handle makes the knife too slippery at best and too dangerous to use safely at worst. If you have to use your knife on a person or animal the blood on the smooth handle will cause you to either lose your grip or worse, it could slip causing you to cut open your own hand. I already talked about not buying a knife with a hollow handle. While this may seem and look cool to you, it doesn’t look cool when your blade breaks off when you are actually using the knife. Just avoid buying hollow handle knives and make sure the handle has some sort of texture for gripping purposes, and you should be OK. The weight of a knife can vary greatly. How you will carry the knife makes a difference when choosing the weight. Do you plan to have it sheathed on your hip? Will it be in your backpack? If you are going to carry it separately in a pack, then weight doesn’t matter that much. But, if you want it sheathed on your side, then 3 to 6 ounces is probably a good weight range for you. This is my recommendation and others might disagree. I suggest you go to a place that you can hold knives of various weights to see what suits you best. 5. The Design Of The Blade Has A Few Implications. A knife with a straight edge is easier to sharpen. A serrated edge can cut things like rope better but will most likely require a special sharpener. 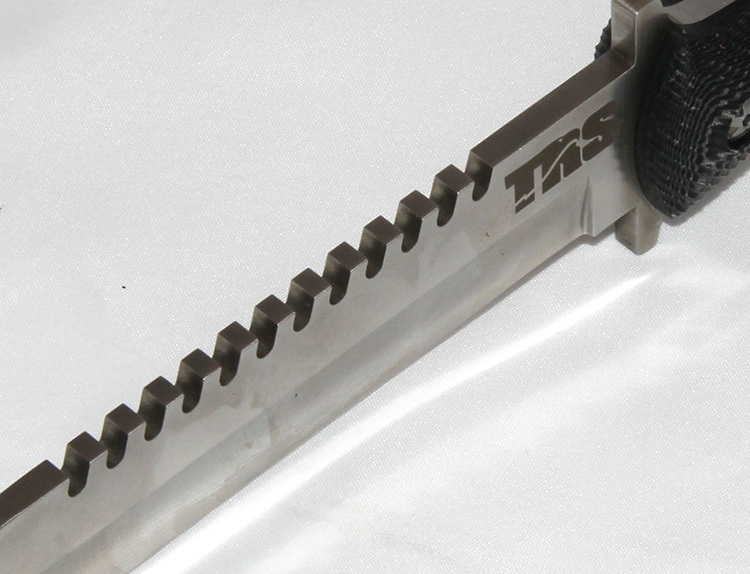 Some survival knives have a serrated edge on top of the blade and a straight edge on the bottom of the blade. This is a great design if you want both edges in one knife. Having both on the same edge can be tricky to sharpen. Another thing to consider is the thickness of the blade. Generally speaking, the blade should be 3/16 to 5/16 inches thick. You don’t want any kind of bend in the blade. Blades that thick can be used for chopping wood or prying things open. 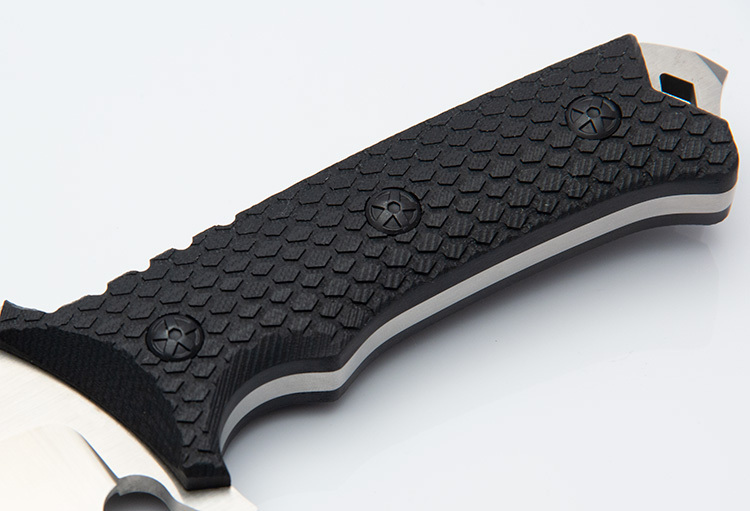 A flexible blade is not something you desire in a survival knife. Well, these are my five recommendations for choosing your survival knife. There are obviously many options for you to choose from. You need to select the one you think will do the job for you. Perhaps you can have several as I do. I hope these guidelines you will give you a better idea of what to look for and help you to avoid some of the common pitfalls when choosing a survival knife to fit your needs. To me, a knife is an essential survival tool. I own them, carry them, and most importantly, train on how to properly use them. I hope that I can help you avoid the mistakes I have made in the past when purchasing knives. I believe a good survival knife will be worth its weight in gold if you ever need one so purchase wisely. Click here for more self defense instruction from Derek Smith. for some reasons , Knives always , make me feel good . Your articles , are mind opening , fun to read as well . Just keep , yourself and the team , Physically fit and Mentally healthy . Metta ; loving , kindness . Thank you for breaking down the different types of knifes. Myself wood like a longer heavier one. That I can carry on me. That would be good for around camp. Chopping wood cutting down vines or brush for a fire or clearing a trail. The most important feature. One that if I was put in a bad spot. I could pull it out and do what I have to do to defend myself.